Yes! I’m finally 100% again after a big physical battle with a bladder infection that really wanted to be a kidney infection. Allow me to share with you my miracle last Friday…. I had 102.4 temp and the doctor said to get to the ER. I didn’t want to go! I had been hospitalized for 4 days last fall with a kidney infection and was not looking forward to a repeat. I was praying in the car that I wouldn’t have to spend the night. One hour after taking my temp which gave me the 102.4, they took my temperature at the ER and it read 97.6. How in the world did it go down SO FAR in such a short time? Was our thermometer at home wrong? Couldn’t have been because we were using the old-fashioned Mercury style thermometer, not digital which can sometimes give a false reading. My sister who had driven me said, “Let’s blow this joint! 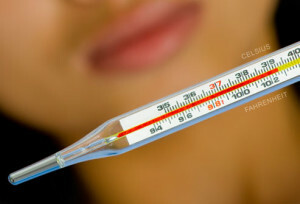 You don’t need another ER bill.” Came home, checked my temp with our thermometer – 97.6°. Still don’t know how it could’ve decreased so fast except that God knew the desire of my hear and the estate of our finances. Father, I continue to delight in You – Your creation, Your kindness, and your mighty works that show up when we least expect.